Whether we were ready for it or not, we’ve passed the two week mile marker into 2013. We here at Communities In Schools of Wilkes County(CIS) hope these two weeks have found you well, and that you have been able to enter this year with the success and determination we work constantly to instill in our students lives. Our work, of course, would be vastly limited if not for the reach of our wonderful mentors. 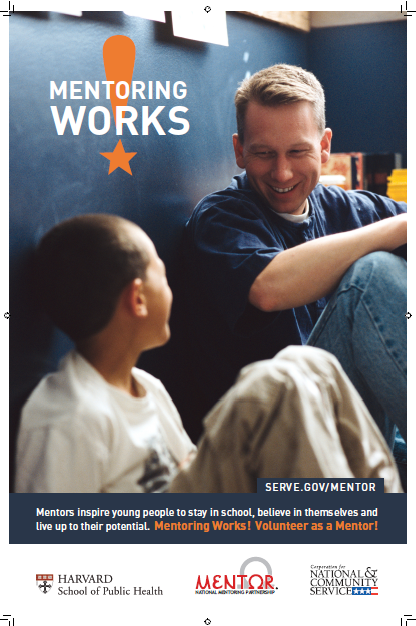 January, as National Mentoring Month, gives us a chance to reflect on and thank these wonderful people. These wonderful people graciously donate their time, supplying area students with the CIS basic “a one-on-one relationship with a caring adult,” — someone to turn to in terms of support, encouragement, and guidance. All of us at CIS would again like to wish the sincerest of thanks to these selfless people. It is people like you who truly make the difference in the lives of today’s students, and we are forever grateful for the work you do and the impact you have. If you or someone you know may be interested in volunteering for Communities In Schools of Wilkes as a mentor, please contact Jettie Walker by email or at 651:7830.